The front pages look skittish, again, this morning. Plenty of headlines and reports, but few points of convergence: Rakesh Asthana’s departure from the CBI, and Maharashtra’s dance bars make the cut. However, first, two Page 1 ‘exclusives’: The Hindu Publishing Group chairman N. Ram, the paper’s former editor-in-chief, rarely appears in print. So when he does, take note. 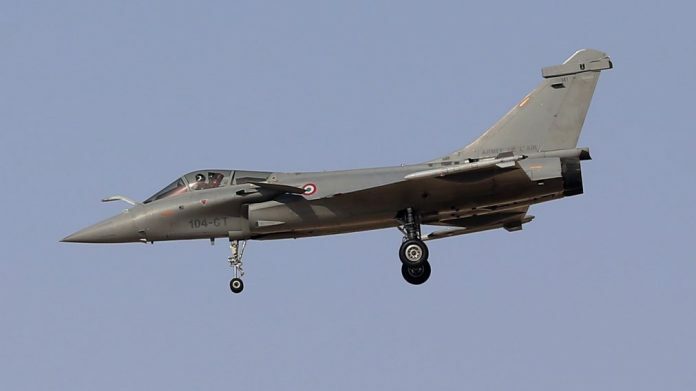 His lengthy report, “Modi’s decision to buy 36 Rafales shot the price of each jet up by 41%” is “based on information exclusively available to The Hindu”. Ram writes, “It focuses on the interesting question of how and why the price” of each Rafale aircraft “changed substantially over three points in 2007, 2011 and 2016”. He quotes chapter and verse “from official documentation” and concludes that the decision-making process “does bear an eerie resemblance” to the Bofors deal but with one significant difference: “No money trail has been discovered” in Rafale thus far. The Times of India’s exclusive relates to the recommendation to appoint Rajasthan High Court Chief Justice Pradeep Nandrajog and Delhi High Court Chief Justice Rajendra Menon to the top court that was rescinded this month. “The unauthorised leak of names of judges even before recommendations were finalised under the memorandum of procedure, along with fresh ‘adverse’ material, made CJI Ranjan Gogoi recall the collegium’s December 12 proposal,” it writes. The piece is remarkable for one reason: It is told from the CJI’s viewpoint, with extensive quotes from a “source” — one who knows the CJI’s inner thoughts, even his “second thoughts”. Reports on Asthana’s departure from the CBI are straightforward: The Telegraph and The Times of India lead. “Rakesh Asthana out of CBI in burial drive” (The Telegraph) and “CBI purge continues: Asthana, 2 Verma loyalists moved out” (TOI). The Indian Express goes for balance with “After Verma, his rival Asthana moved out”. Hindustan Times sums it up in small Page 1 column: Asthana’s transfer closes “a bitter chapter in the history of the bureau”. The Supreme Court’s decision to allow dance bars in Maharashtra gets word play in the Express: “SC says yes to dance and bar in dance bars in Maharashtra”. TOI says the court’s verdict “has revived hopes in the hotel fraternity”. However, the SC’s line on “obscenity” has reportedly discouraged bar openers. “How can anyone define obscenity? We’d rather stay closed than spend our lives in jail,” it quotes a bar owner as saying. The Express takes the lead on the SC setting a date for the Lokpal Bill. This “is a significant step in the direction of establishing the anti-graft watchdog”, it writes. The Express, Hindu and HT comment on the ongoing SC collegium controversy. In “An Opaque Bench” (Express), former Delhi High Court Chief Justice A.P. Shah argues the collegium system is “opaque… working as if in a cabal”. In its editorial, “Collegium Controversy”, The Hindu writes: The “controversial collegium system… is under public scrutiny” again. It advises the SC to continue “the recent practice of making public all resolutions of the collegium”, in the interest of “transparency”. HT’s “Reforming the collegium system” reminds CJI Gogoi of his words on “noisy judges” and independent journalists as democracy’s first line of defense. It urges him “to speak up” now and clear the confusion on the appointment of SC judges. Many news channels reveled in the Supreme Court verdict that CNN-News18 pithily called “#DanceNoBar”. Other news channels felt self-righteous about a Congressman’s distasteful comment on the BJP president’s illness – ie, Times Now, Republic. Sudarshan TV, meanwhile, continues its campaign to singlehandedly reduce the population of India, at least its Muslim segment. And then there was the cow. India Today/Aaj Tak reported on the plight of farmers and cows in “Yogi’s Gau Pradesh”. Associate editor Anand K. Patel spoke to farmers who claimed to fear both police and the NGOs that herd stray cattle. “The road to Delhi’s crown goes through these fields,” Patel sought to warn politicians. Anchor Rajdeep Sardesai, then, asked if the holy cow was “a burden” for farmers. BJP spokesperson Anila Singh said the party’s government had done everything to help farmers and protect cows. When Rajdeep said cows were still sheltered in schools and fields, Anila agreed and disagreed: “You are right in some sense,” she said, but added that most such reports are a “conspiracy” by those who want to “crush our religion and culture”. Animal rights activist Ambika Shukla, Union minister Maneka Gandhi’s sister, who runs an NGO involved in cow protection, said her organisation didn’t “earn a penny”. CNN-News18 and Mirror Now went to town on dance bars. Mirror Now’s Faye D’Souza led a panel debate that included Nationalist Congress Party’s “Mr Deshmukh”, as D’ Souza called him, who said bars were “a gateway to prostitution… where illegal people stay”. “Illegal people?” repeated a perplexed D’Souza. However, activist Rahul Easwar said these bars were only good for the “commodification of women, sexploitation and prostitution”. On CNN-News18, anchor Zakka Jacob repeatedly had to “calm down” panelists Sanju (BJP) and Aabha Singh, a social activist, on the role of dance bars in a debate titled “Livelihood v/s Morality”. Sanju claimed the SC verdict would increase prostitution. Jacob quoted “data” that said illegal trafficking of women had increased since bars were closed. Praveen Agrawal, a dance bar owner, made an extraordinary claim: Asked to provide data, he said since former dancers had fled the country after the bars were closed, the airports would have the data. On Aaj Tak, anchor Rohit Sardana discussed the Congress’ reported support for the JNU students accused of shouting seditious slogans at a 2016 protest. We extend a hearty welcome to all Karnataka BJP MLAs who are returning home after an extended holiday at a luxury resort near Delhi. Now that they are sufficiently rejuvenated let us hope they will attend to the work of their constituencies which they have neglected for long. Mr. Ram wants to hang an imaginary impropeity on the rafeal deal. But try as he might he finds not even an imaginary trail. So he freaks out that he can’t find one. And money trail will never be found, thanks to a noisy species called “journalists”. They have completely spoiled the game. The groundwork was being done for multi year reaping of harvest by making a huge and lucrative project easily available to Anil Ambani, because he was seen as what’s called in Gujarati, “Apdo Manus”, meaning a confidant, literally meaning, “our man”. We all know how, because of spoilsport noisy journalists, what was supposed to be a cakewalk for Mr Ambani has turned out to be sticky wicket for him, and has put Mr Modi himself on a back foot. He is so much on back foot that he may get out “hit wicket”! Trail of “money” is visible as trail of illegal and intangible “gratification” obtained by Mr Modi. Even if no money changed hands, Mr Modi has benefitted an UNSUITABLE candidate “for the gratification of his personal ego, by misusing his official position, and by risking our country’s security and wasting our national funds”. Surely it’s corruption of some sort!